Welcome #Winter #Giveaway #Hop!! #WelcomeWinter!! | Stacking My Book Shelves! 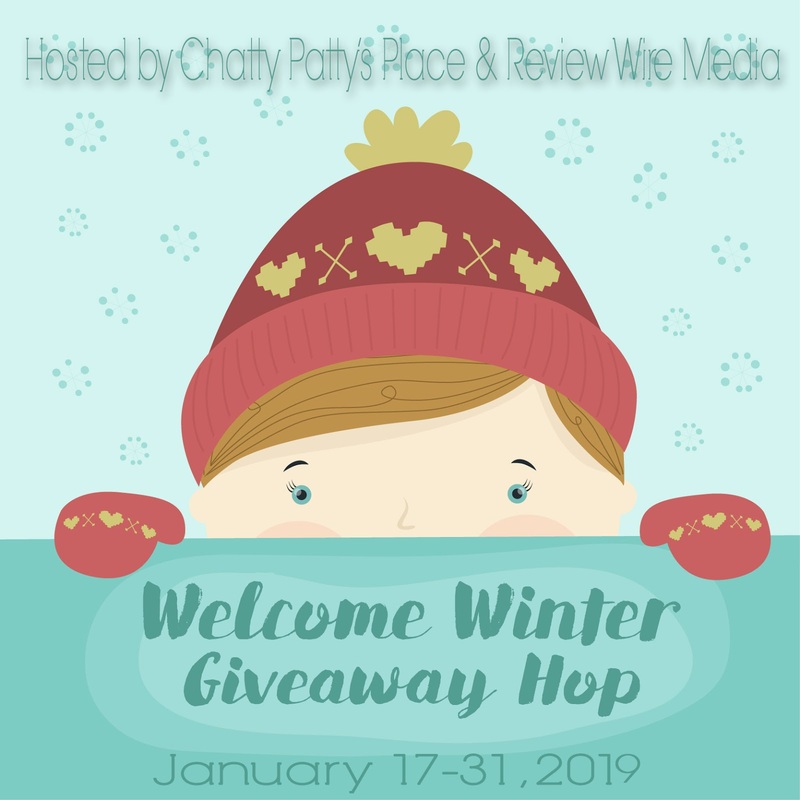 Welcome #Winter #Giveaway #Hop!! #WelcomeWinter!! Thank you Chatty Patty's Place & Review Wire Media for hosting this hop! I don't know about you but I am not looking forward to snow. It's not that I don't love watching it fall and curling up with a good book and hot cocoa, it's just not that much fun coupled with power outages, homework that is due and no way to get online to do it etc. It's not worth the stress to me. Although there are a lot of other people out there that love it. I am just not one. I look forward to the days when I get to move to a warmer climate. I am giving away a $20 Amazon eGift Card. Don't forget to hop along to the other great blogs participating! Winter is definitely not my favorite season! Snow is pretty to look at, but not to drive in! I love the fact that it is not hot. I love the beauty of the snow. I love ice skating. I don't like anything about winter, and no its not my favorite season. I like the cooler but not cold weather. Winter is my favorite season here in Florida! It's actually a bit cooler and I can wear my boots! My favorite thing about winter is getting some snow in GA which is rare! It's not my favorite season though. It's not my favorite season but I always like the holidays. I do not like anything about winter. I will be glad when it is over. Fall is my favorite season, winter is okay too, I like the cool weather. I like that there is no humidity in winter here. I don't like the winter at all. I hate to be cold. I like the festive holidays in winter. But it isn't my favorite holiday. My favorite holiday is fall. I have no favorite thing about winter. It is my least favorite season. My favorite part of winter is sitting my the fireplace with a cup of coffee. Winter is not my favorite. The only thing I like about it is the holidays. Christmas is favorite thing about winter; otherwise, I'm not a big fan of winter. Noooo. I like Fall! I do love snow though! I enjoy the landscapes of winter, not my favorite season. Winter is not my favorite season, especially the snow. I do like the holidays. I love the winter holidays. Oh, the holidays, that it can be a little cooler (since I'm not fan of the extremely hot days that can happen in summer). Myself and winter are not the best couple, I prefer the warmer months myself. Winter is definitely not my favorite season. The best thing about winter is that it make me appreciate spring, summer and fall. It's not my favorite season, but I do like a good snowfall. My favorite thing about winter is sledding, but Winter is not my favorite season. I like staying in and drinking hot chocolate. As a resident of Florida, I love the weather in the Winter. I like the cooler temperatures. Fall is my favorite season. I love the beauty of the trees after a fresh snowfall. Reminds me how fortunate we are to see it. My favorite thing about winter is that I get to wear my boots. Winter is definitely not my favorite season and the best thing about it is when it's over! I live in Oregon, so it's all the rain! We need it to keep all the beautiful green in the Spring and Summer. I just like the cooler weather. My favorite thing about winter is no mosquitoes. Winter is most certainly not my favorite season. My favorite thing about winter is spring! Winter is my favourite season. I love the cold, the snow, everything. I like the cooler weather in winter. I like that the weather gets a bit cooler but I am not a huge fan of winter. My favorite thing about winter is that the days start getting longer. I like Spring best. Winter is definitely not my favorite season. Since I don't like to be outside in the cold and snow I use this time to catch up on house work and reading. I love winter. There is Christmas and New Years, and the cold weather is perfect for staying home under a blanket with a good book and some hot chocolate. I don't care for winter, I do like to see the first snow fall. My favorite thing about winter is all the holidays and the festivities, but it is definitely not my favorite season. It's way too cold and I hate the days being super short. Myfavorite thing about winter is I have more time to read. My favorite season is fall. Thanks for the giveaway. I hate winter! I love summer. Our weather gets a little cooler which is nice and we love all the holidays in the winter time. I do not like winter at all. The cold tears me up. My favorite season is spring. I love having hot cocoa and watching movies. I do not love winter, I prefer spring. I read or watch a movie. My favorite season is Spring! Christmas is my favorite thing about winter. I do not like the cold weather so, it is not my favorite season. Winter is not my favorite season. The only thing I like is when fresh snow falls. Of course, that lasts until time to shovel. Being indoors and seeing the beautiful snow and ice outside. Winter is my least favorite season, but love wearing sweaters. favorite is the holidays and snow !! I like going sledding with my boys and granddaughters in the winter.